BRUSSELS (AP) — The main center-right alliance in the European Union’s parliament refrained from expelling Hungary’s ruling party Wednesday, opting instead to suspend Fidesz following a long dispute over its values and policies. Hungarian Prime Minister Viktor Orban sought to put on a brave face after his party’s suspension from the European People’s Party grouping, arguing that at least EPP remained united ahead of May 23-26 European Parliament elections. Orban said Fidesz had itself proposed the measures approved Wednesday by the EPP and repeated his claim that his party would have abandoned the alliance if it would have made any “disrespectful” decisions about the Hungarian party. Orban’s authoritarian style and anti-European Union, anti-migration policies have long put him at odds with many members of the alliance, and he made it clear after the meeting that he did was not planning major changes. 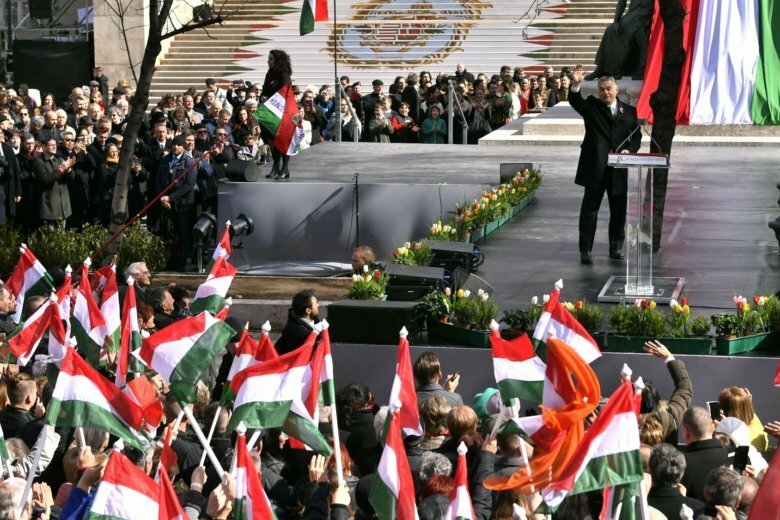 EPP member parties from 12 countries called for Fidesz’s suspension or ouster, deeming Orban’s views and policies incompatible with Christian Democratic values. “As long as Fidesz has not fully restored confidence, normal full membership can’t remain in place,” Kramp-Karrenbauer said, according to German news agency dpa. The Fidesz-led Hungarian government last week ended a campaign targeting European Commission President Jean-Claude Juncker, who is also part of the EPP, and Orban sent letters apologizing for describing as “useful idiots” those in the EPP advocating for his party’s expulsion. The state of Bavaria, home to Weber, has offered to finance two professorships at the CEU via Munich’s Technical University at Weber’s encouragement. After the EPP meeting, CEU reiterated its position that it still needs “legal guarantees” from the Hungarian government about its activities in Budapest.